Yesterday it rained. It really rained… like hard. For about two hours. Holy cow! 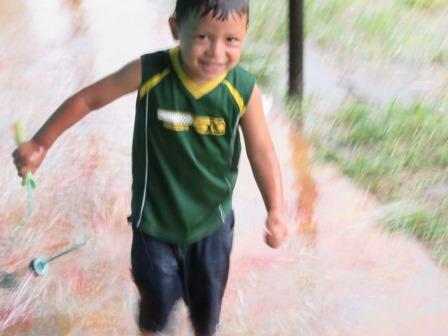 The kids sure had fun playing in the rain. I guess, I used to be a kid, too. But, today is Thursday. A very big day and the weather is beautiful. Our Water Install Team produced our first five bottles of pure clean ozonated water. The new water supply is much nicer coming directly from the well. Our team is very confident that our new friends will be able to produce water for a long time coming from this source. 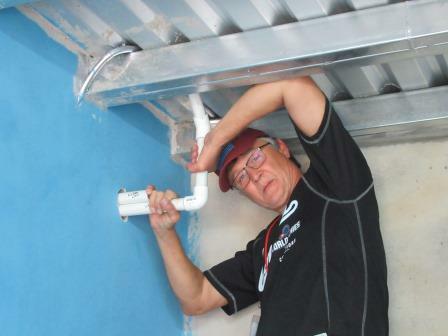 All of our new operators are fully trained and Daryl Taylor (lead installer) says they are very happy and motivated. Our Education Team completed our last day at the school nearby. The principal of the school invited us to return and said they were very happy to have our Agua Viva Educators participate in their classroom educating the young children about health and hygiene. The Dental Team completed the children yesterday and, so, invited local adults to the clinic. Many adults came were very pleased to receive a checkup. Many procedures were performed… extractions, fillings, cleaning, fluoridations, and more. Nancy Allen, Les Briner, Jim Allen, Victor Galo, and Pastor Jamilette drove to El Obraje, Honduras, to do a site investigation. This site does NOT have a water purification system. They have 270 members in their local church and over 500 children in the local school. Our team met with Pastor Alejandro for about an hour and then climbed about three kilometers up the mountain to the water source for the community. 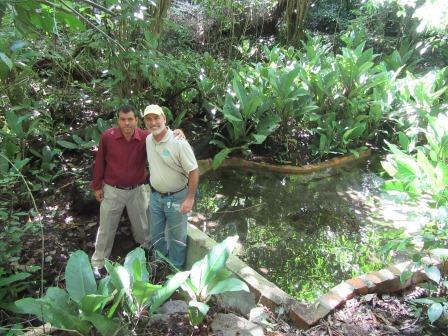 There in the “rain forest”, Agua Viva was able to prepare a water sample to be tested in the United States. If the water sample proves favorable, Agua Viva hopes to return to this beautiful country to provide yet another purification system. Tomorrow is the celebration. Pastor Jamilette purchased 15 chickens, 20 pounds of carrots, 100 packages of Roman Noodles, 5 pounds of onions, and six bottles of ketchup. They are making “Chop Suey” for the celebration. What is the ketchup for????? Kelly Briner, Andrea Sester, and Ana Sanders will be assisting the chefs. With a little luck, our team will be climbing a local mountain tomorrow.